Price reduced! Last one on sale! 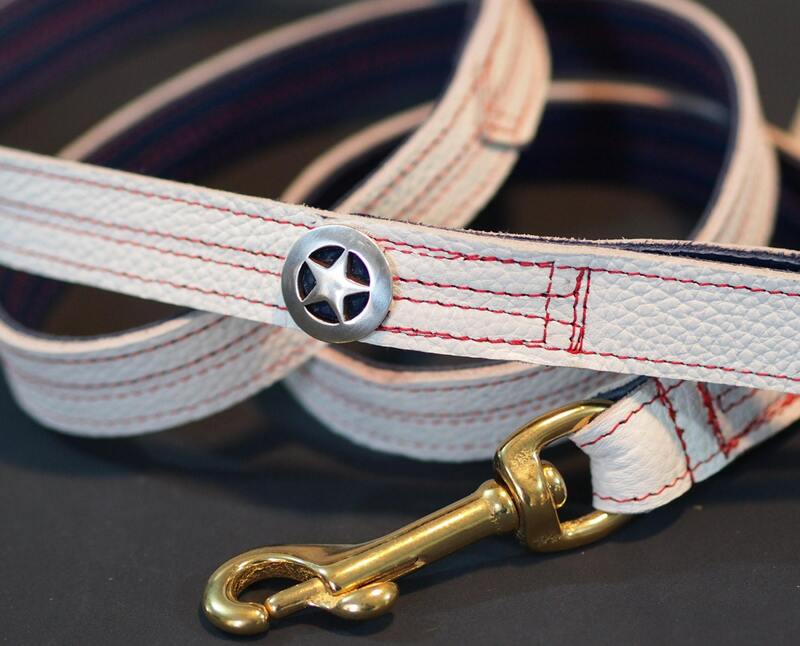 Patriotic Puppy is a white & blue leather leash accented with red stitching and a star concho. 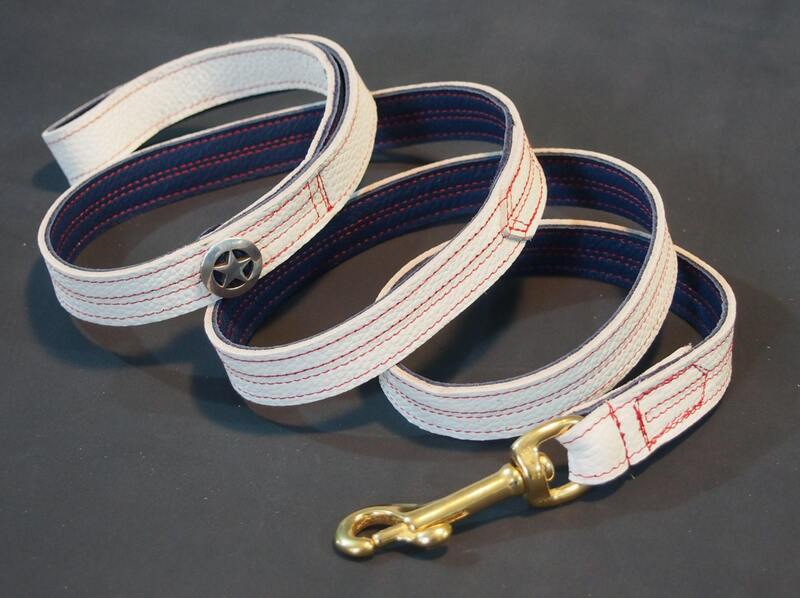 This is a spin from my Cap'n America inspired wrist straps. 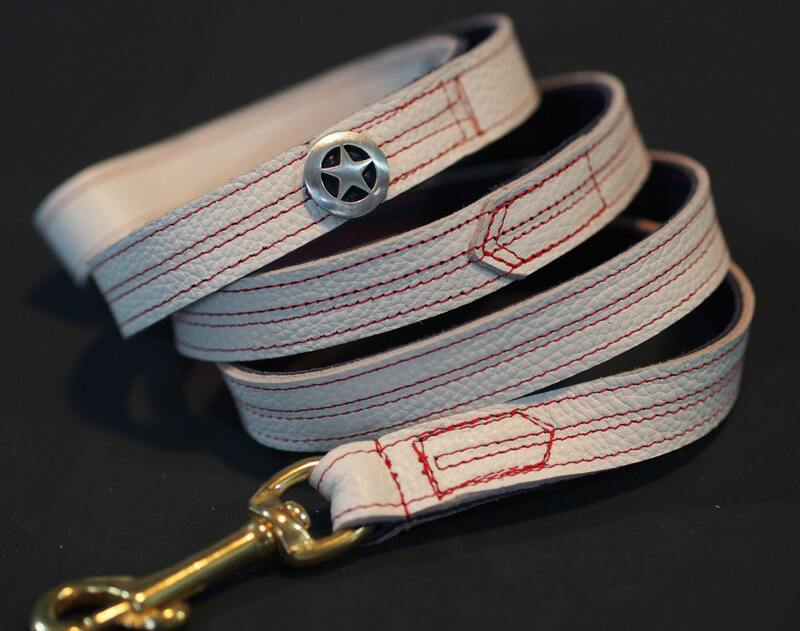 Two different soft cowhide leathers are glued and stitched together, making a supple but very strong leash. The leather has some give to it, so it's very comfortable on the wrist, but it will not break (perhaps under extreme duress). 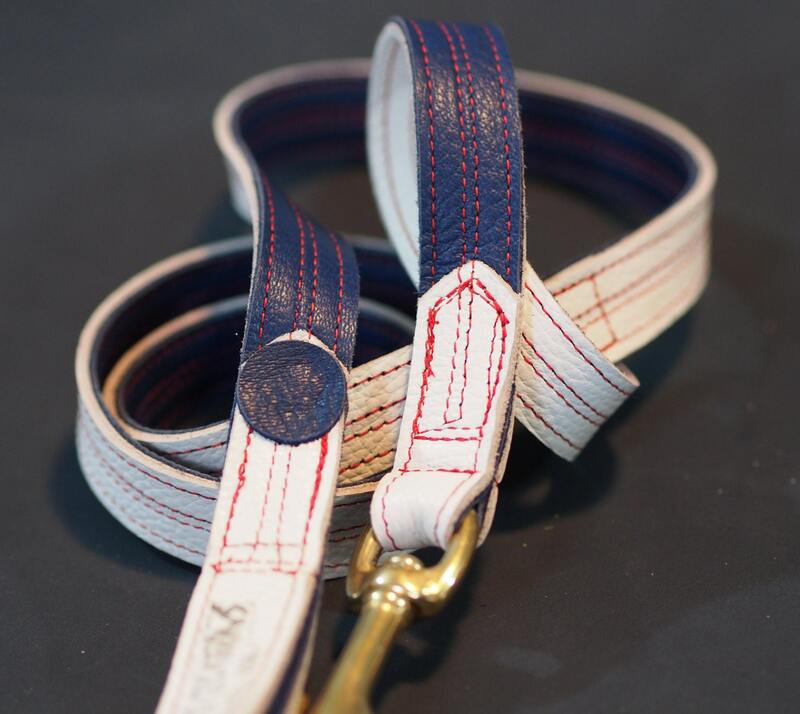 Gluing and stitching the buckle and strap down is a stronger construction method than using rivets only, as found on many other leather leashes. The snap hook in this version is solid brass, and the concho is cast nickel silver, and thread lock is added to ensure it doesn't loosen up. The screw face is covered with leather dot for even less risk of it coming loose & getting lost. The strap is 3/4" wide, and the overall length is about 4 1/2'. The hand loop is generous sized to fit even the largest of hands with gloves. And the soft leather will not chafe your wrist or hand. If you need a different length or width, or other customization ideas, please convo me! I do now have nickel snaps in stock, and will be creating more version using these. 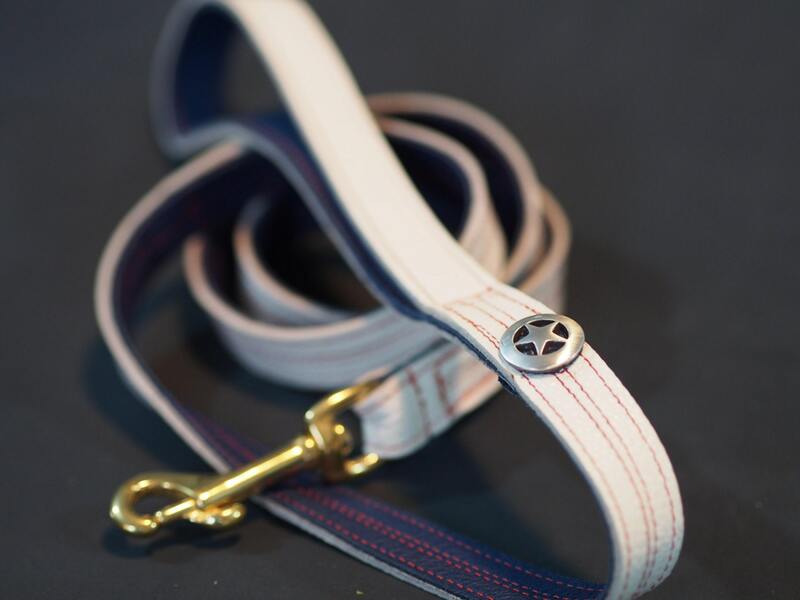 And lease convo me if you're interested in a collar to match!